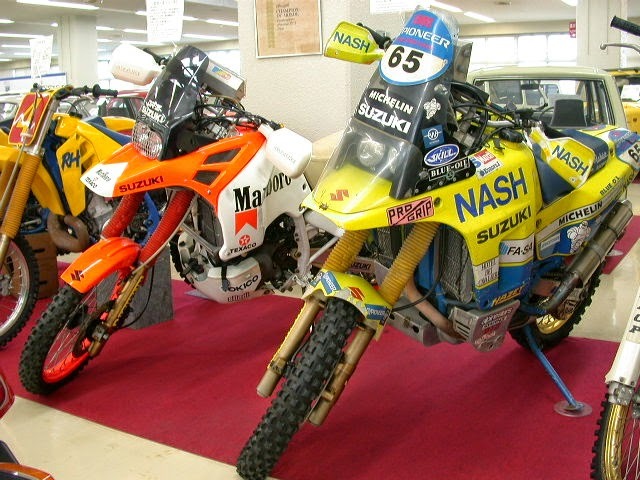 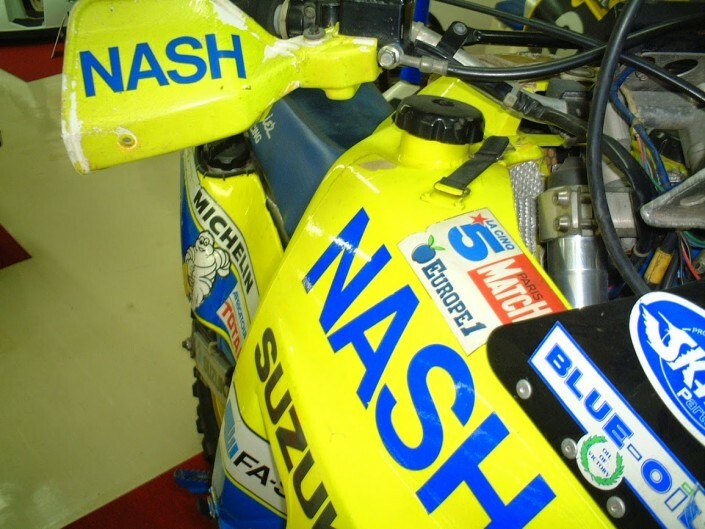 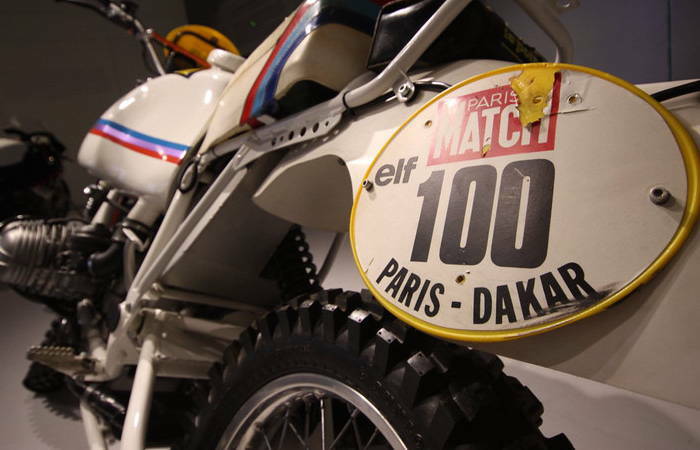 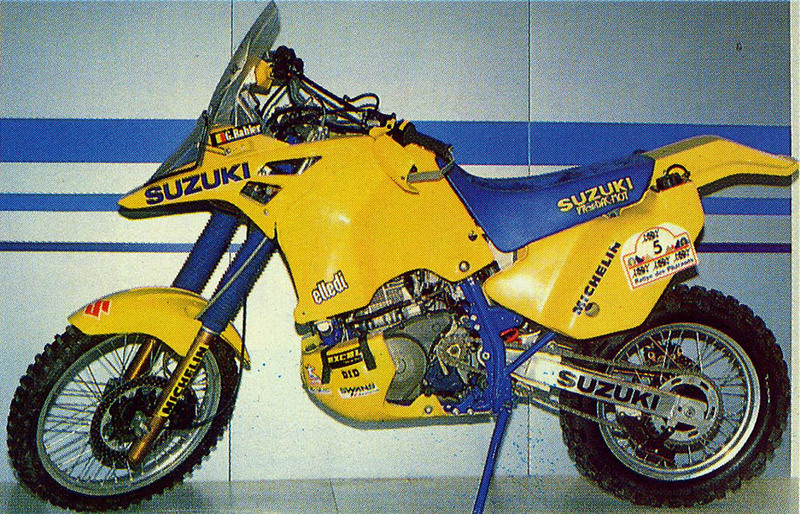 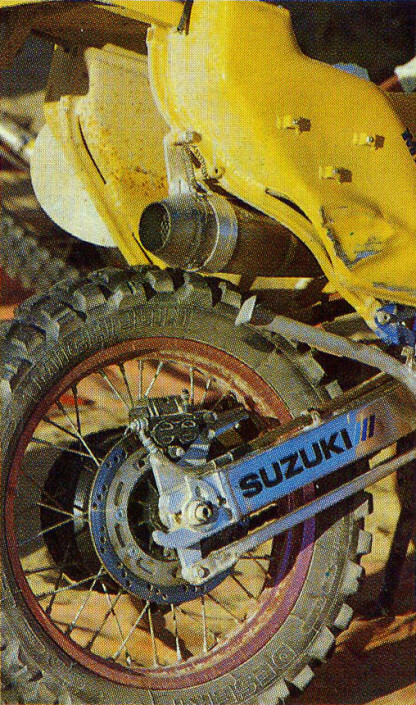 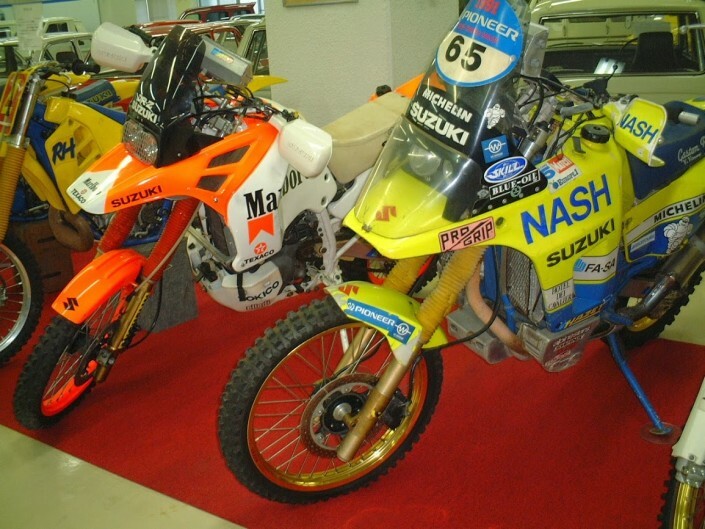 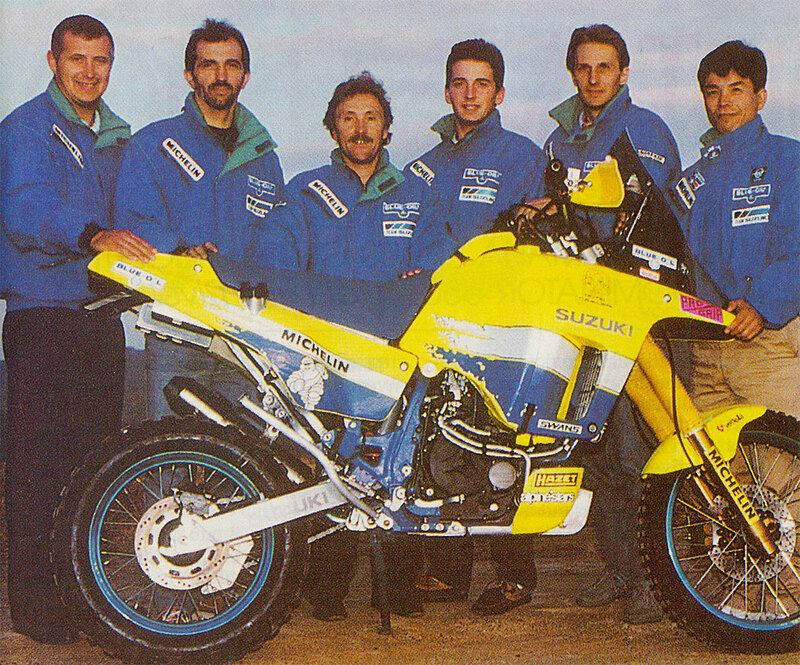 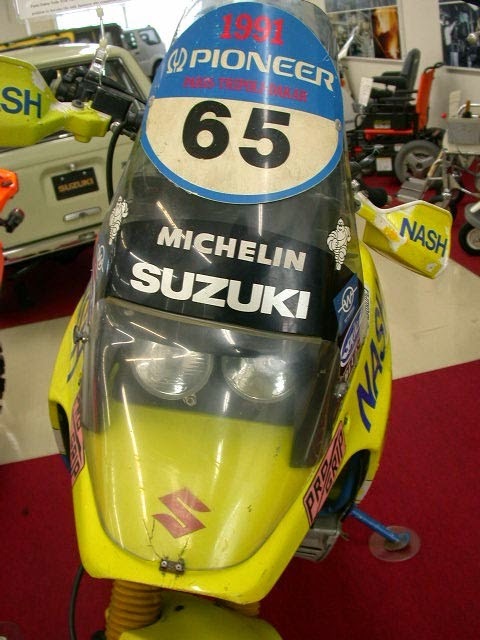 Even the yellow Suzuki Gaston Rahier is practically equal to the motion seen in the edition of the Dakar rally 1988. The more substantial interventions include throttle, plus up to 810 CC increased power and softened simultaneously in the provision to improve its behavior since the minimal throttle openings. 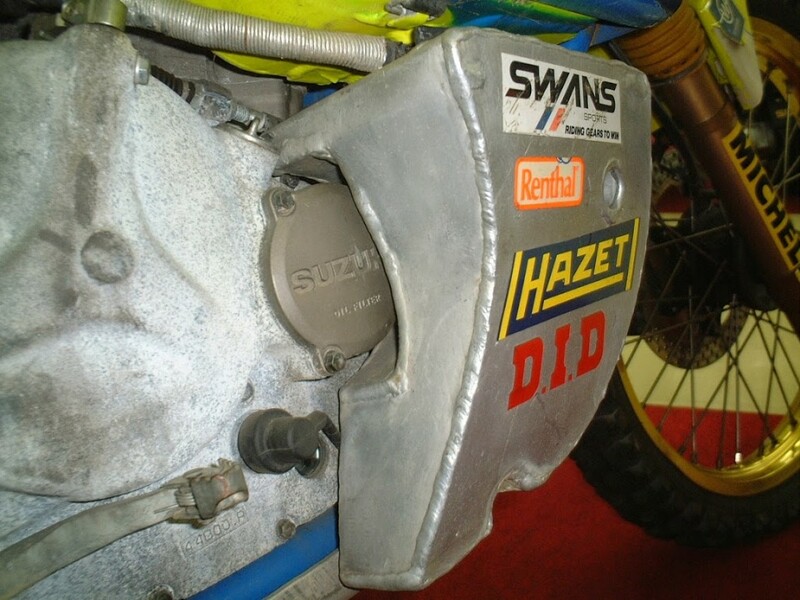 Magnesium crankcase, new carburetors and new air filter increase engine breathing. 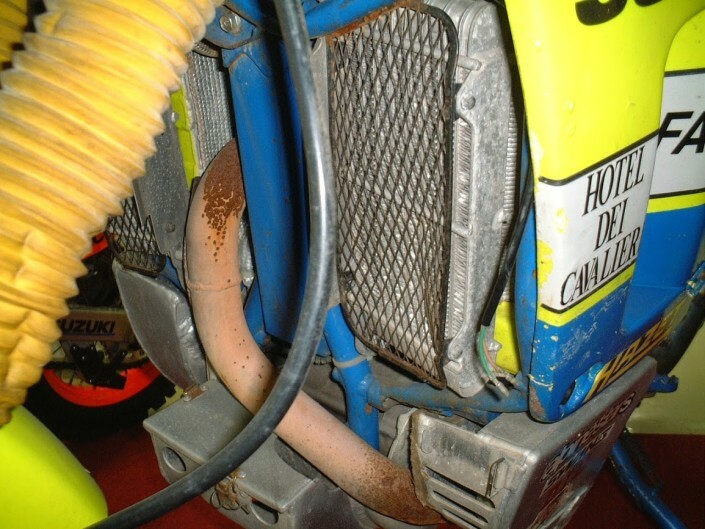 Their exclusive scooling system SACS most oil-air, with large circulation of lubricant in the head and cylinder. 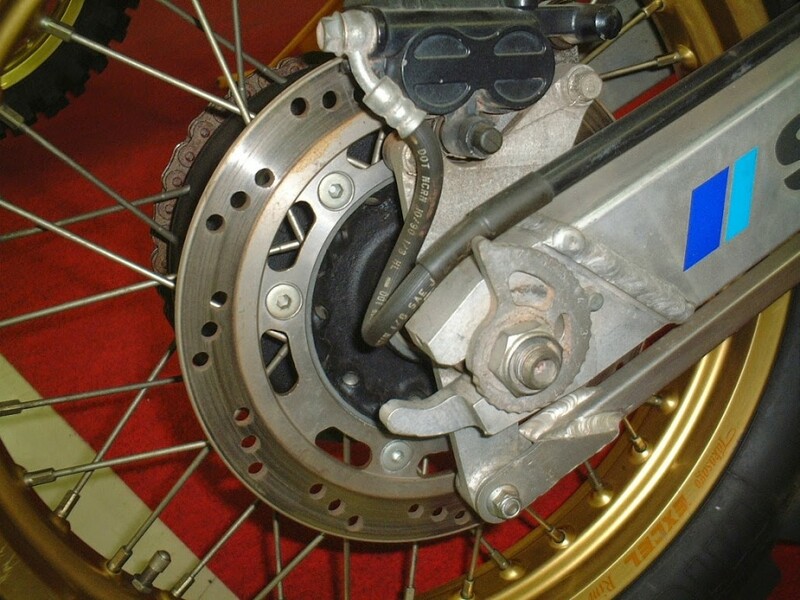 The distribution is SOHC with four valves and double ignition to accelerate the spread of flame front. 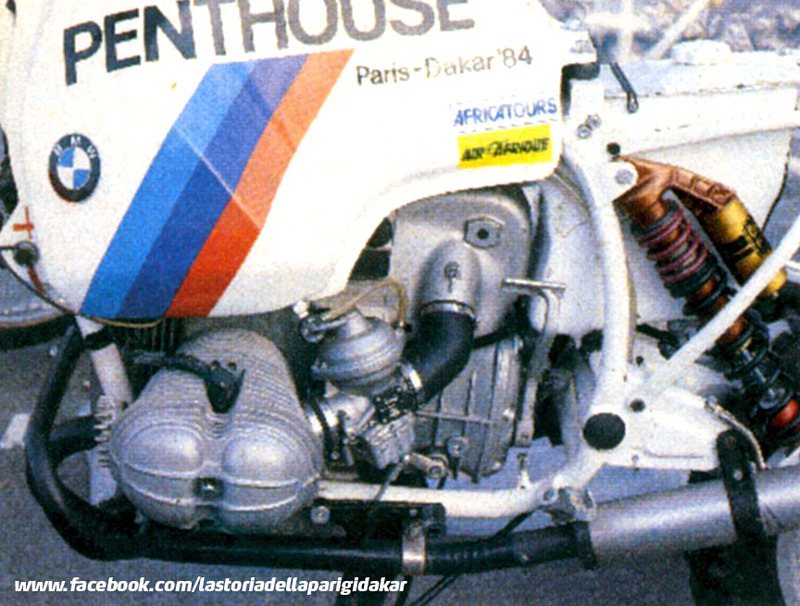 Five-speed gearbox and clutch in oil bath. The power exceeds 65 horses with a substantial pair of well 8,7 Kgm right from low revs. The main tank is made of aluminum as rear speakers, to contain as much as possible the weight, now reduced to 151 Kg dry weight According to official statements. 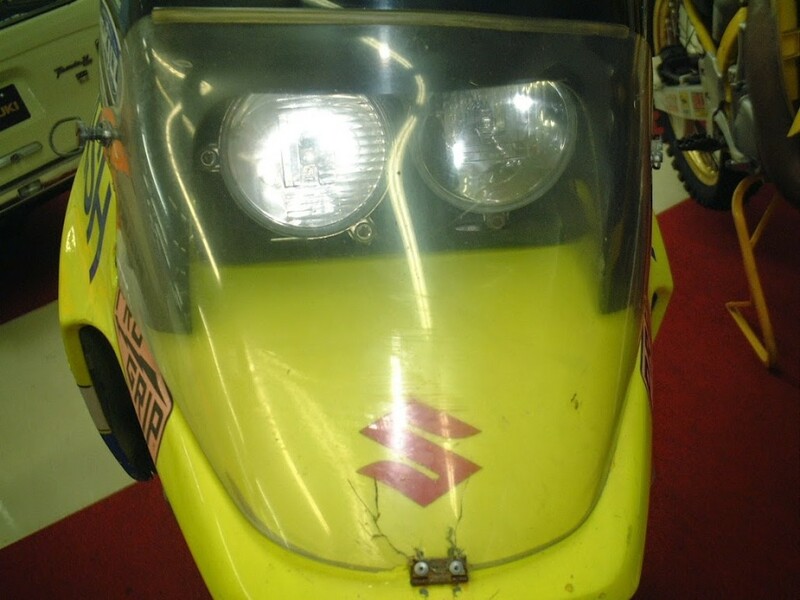 The line similar to DR Big normally for sale, is characterized by pronounced “beak”, careened to improve aerodynamic efficiency. 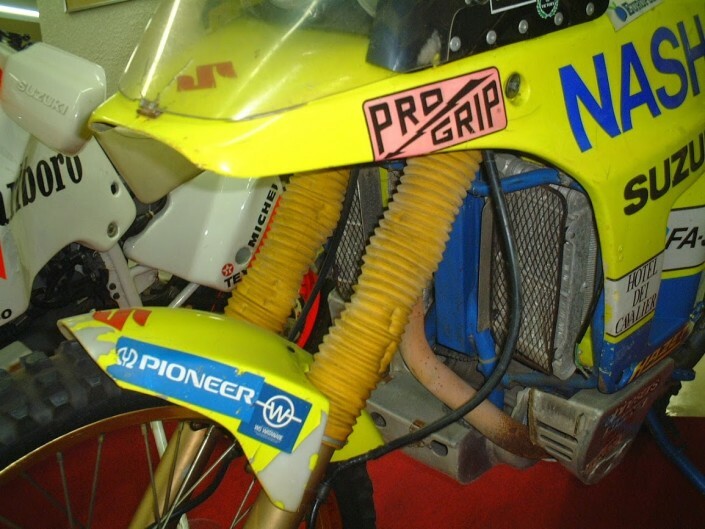 The frame is chromoly steel beam with double cradle under the engine with a new geometry and arrangement of weights to improve driveability, already very good. 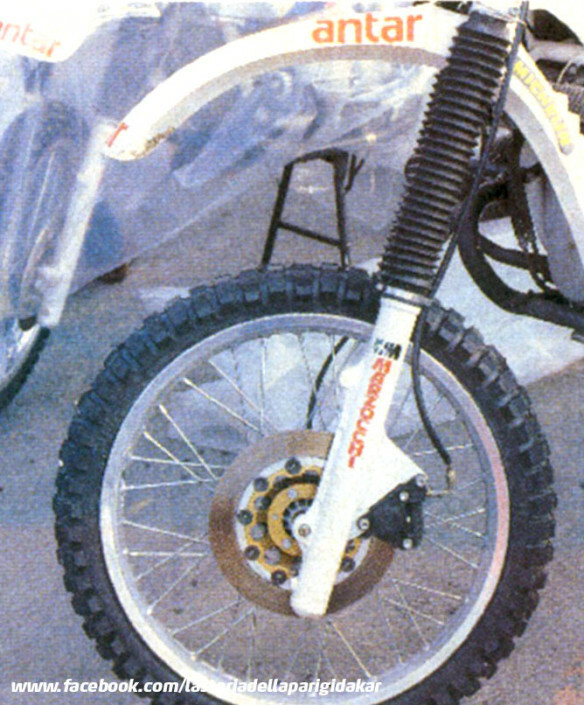 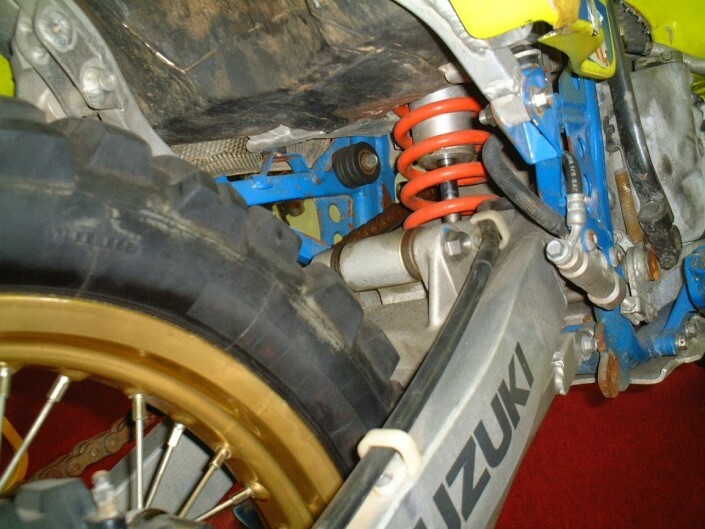 The geometry of the rear suspension has been revised to change the progression of the shock absorber and fork has been replaced with another more dimensioned, more wide and made from “full”. 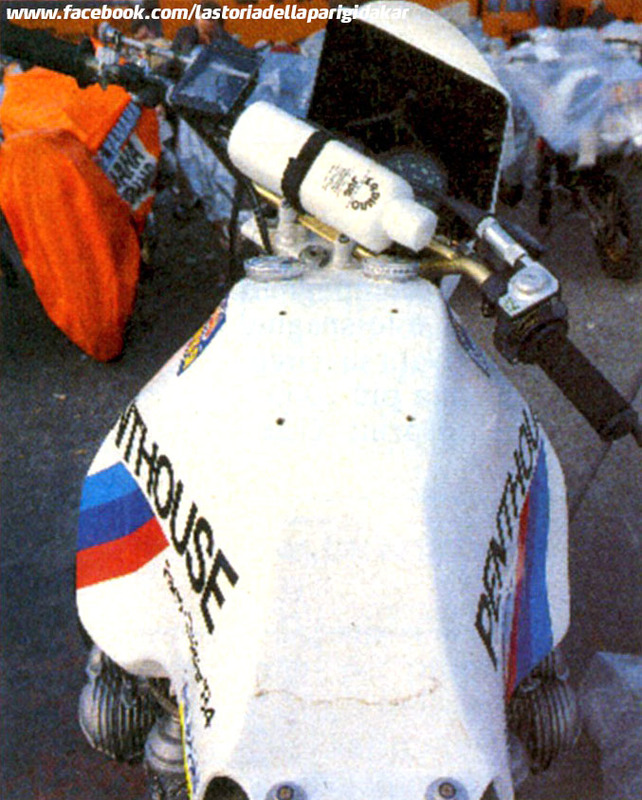 The right auxiliary tank was reduced in size to accommodate the long tailpipe completely produced in titanium. 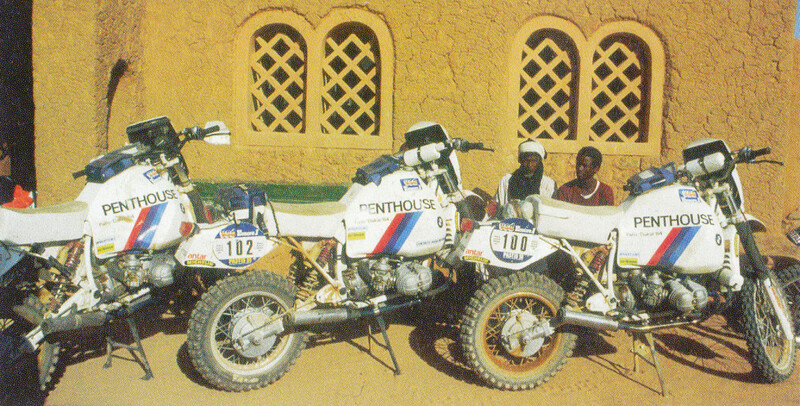 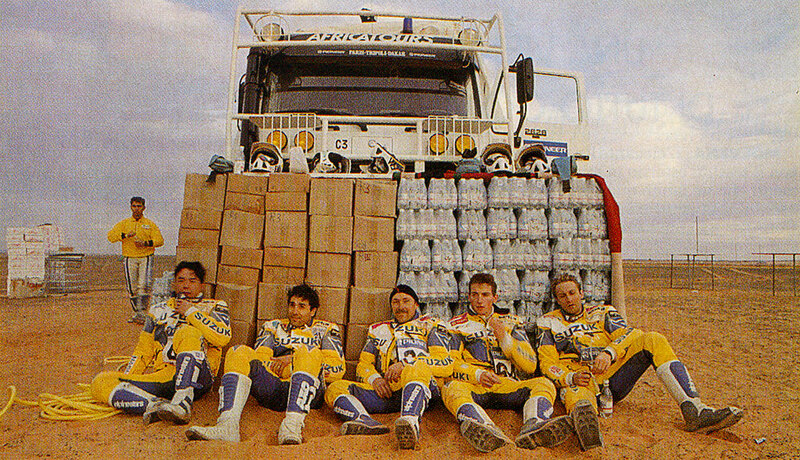 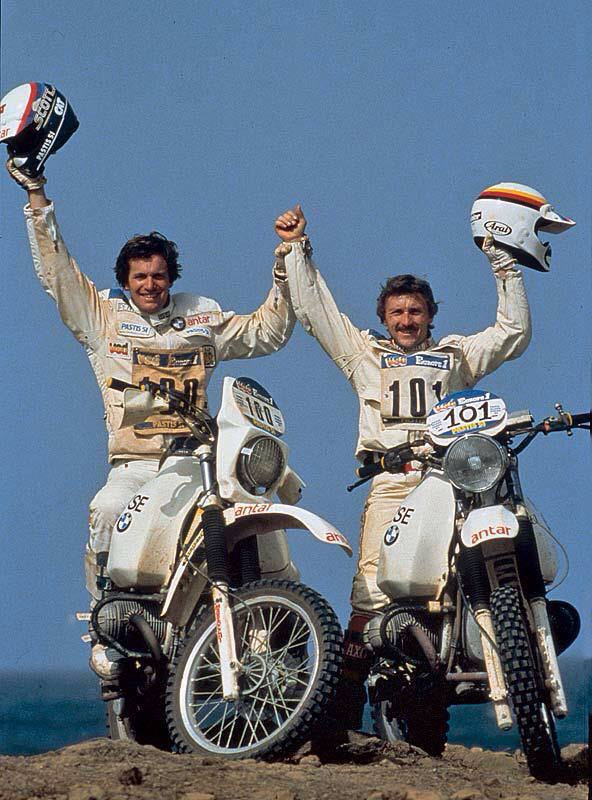 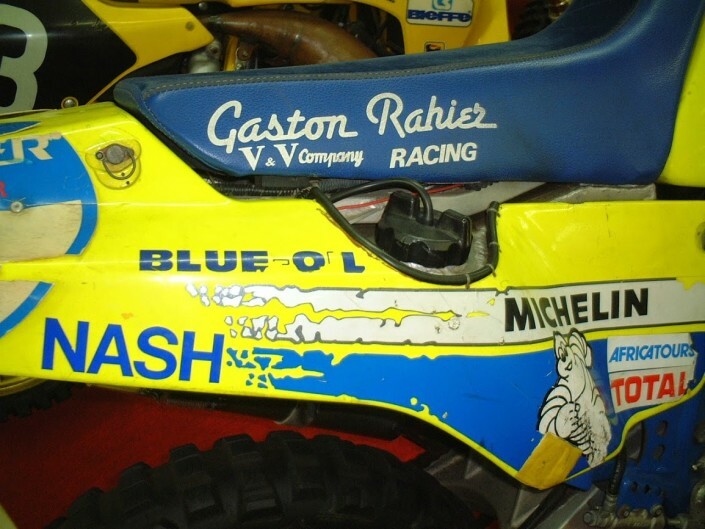 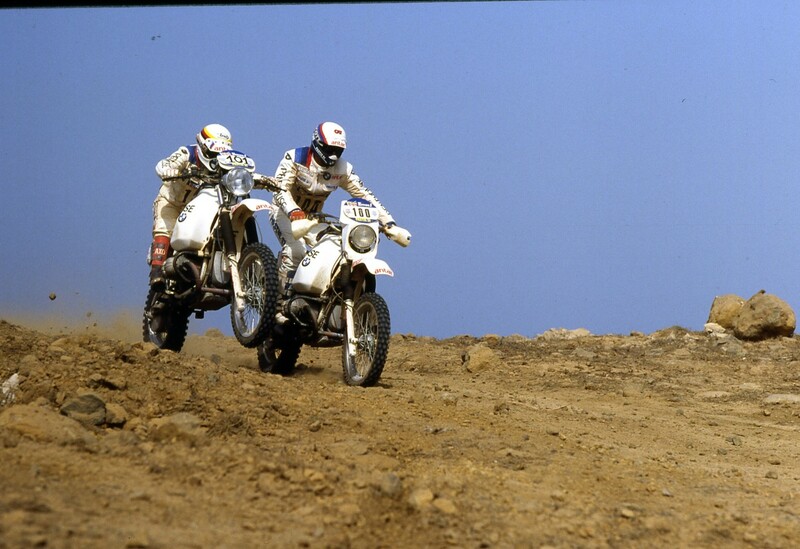 Gaston Rahier will conclude the Dakar 1989 11th, Charbonnier 14°. 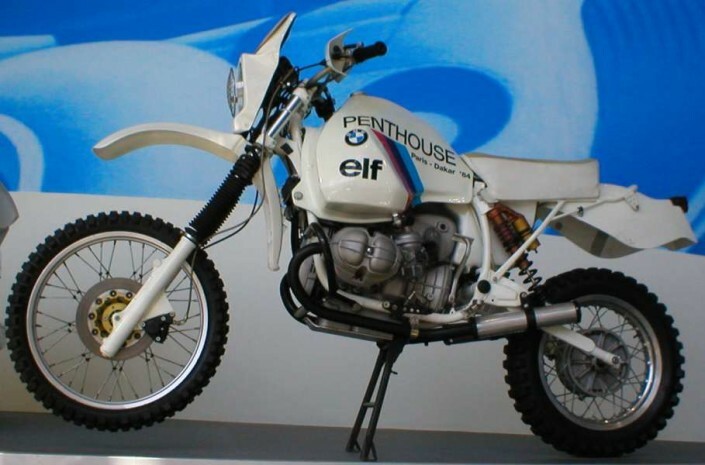 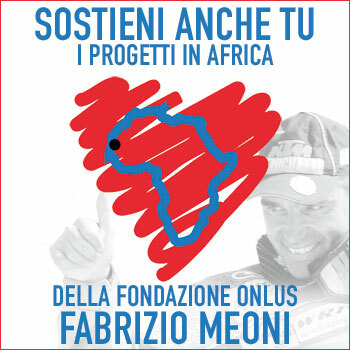 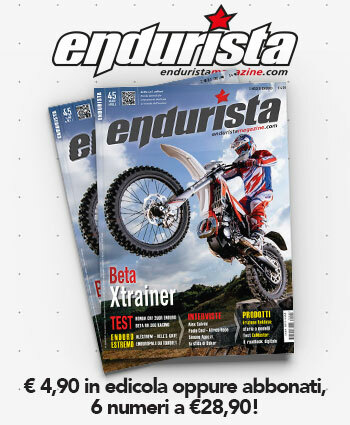 And’ the 1984 and the BMW is the bike to beat, strong also the victory of Auriol in the previous year! 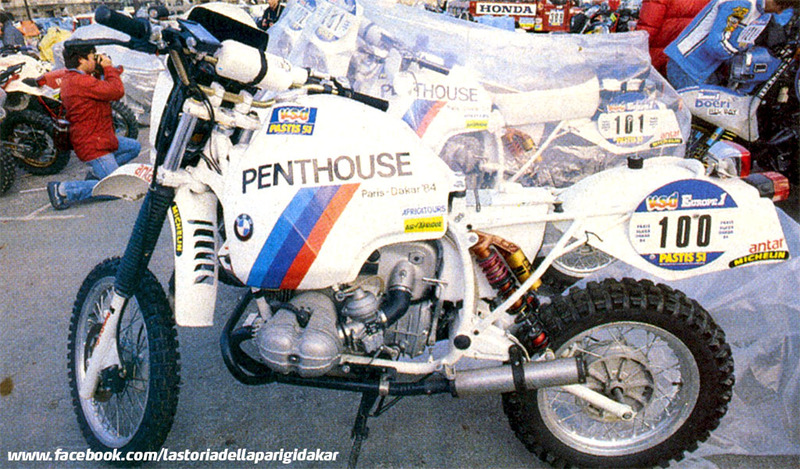 The same applies also in Germany, never change a winning bike. 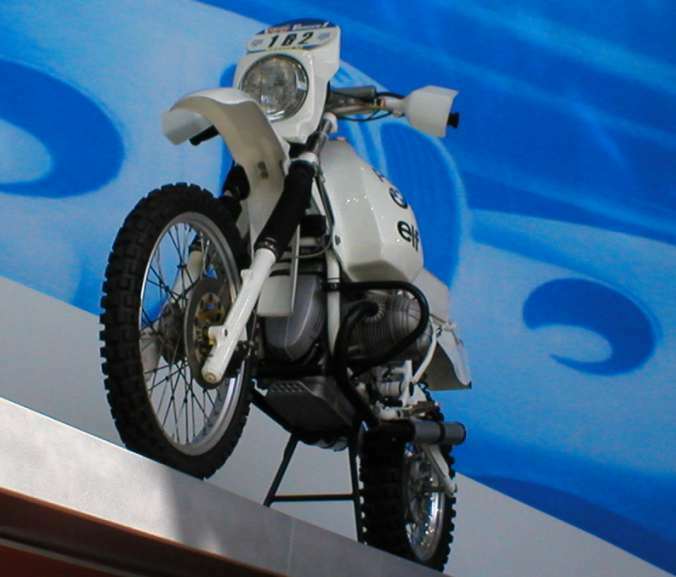 The engine is the classic 1050 CC. 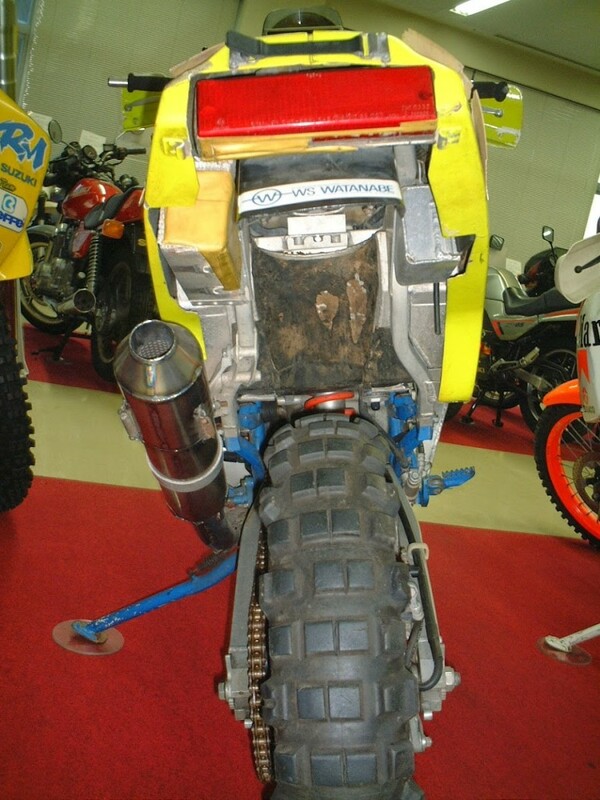 from 80 HP, dry weight 173 kg, maximum speed 180 kmh. 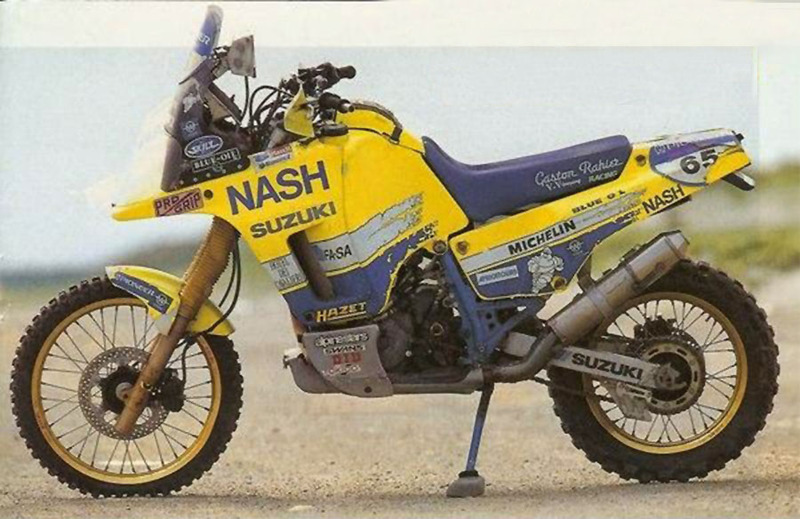 The Starter is electric, and it's a nice convenience on a bison like. 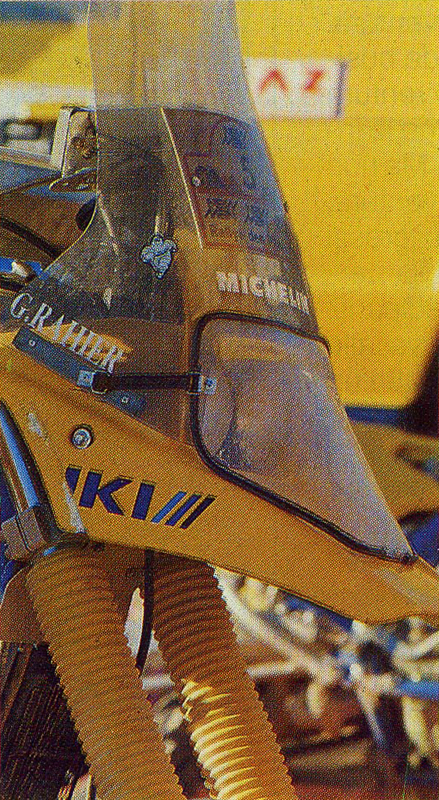 The tank, designed to lower the center of gravity and improve handling, has a capacity of approximately 56 Lt (!) 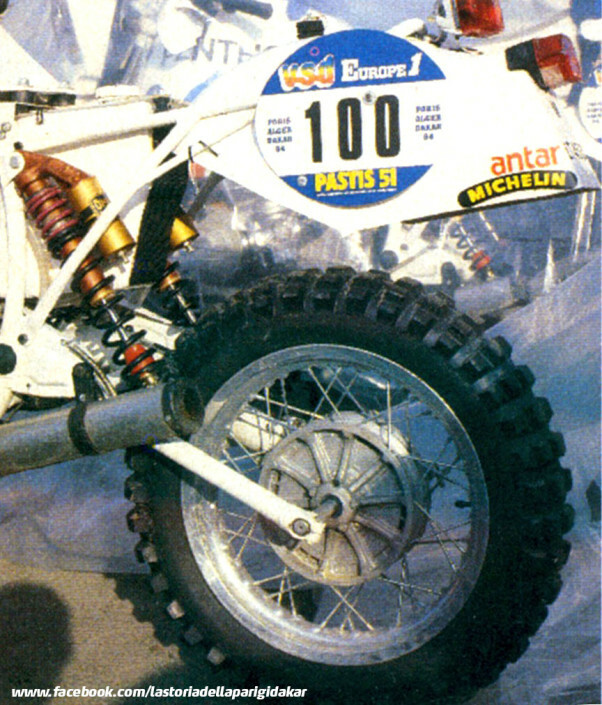 portando the bike fully loaded in almost 230 kg!! Further innovation for those times, the development in collaboration with Michelin, a mixed cushion-air Chamber (a kind of inflatable mousse) that allows you to use the very low tire pressure. 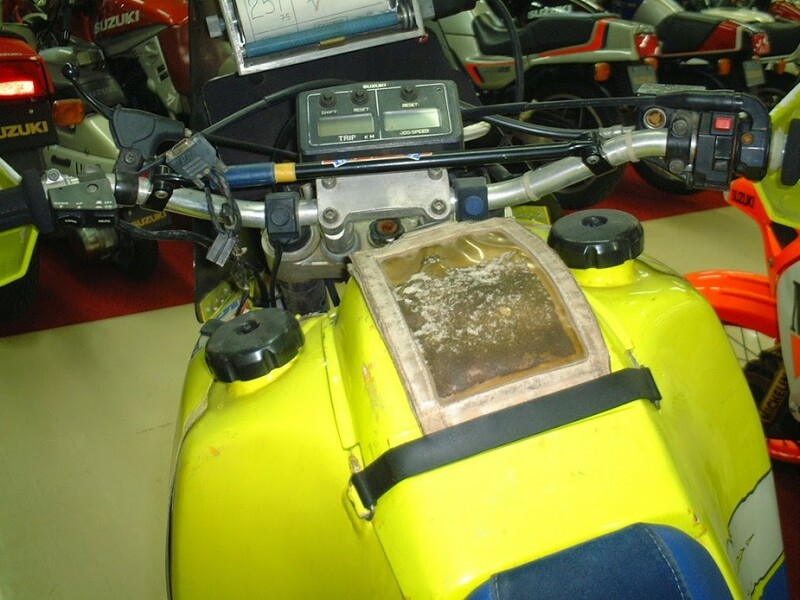 On this bike is experienced for the first time rolling road book Double roller for classical with sheets “to lose” in vogue at that time, with significant benefits in the event that the pilot wanted to check old notes in case of loss of the track. 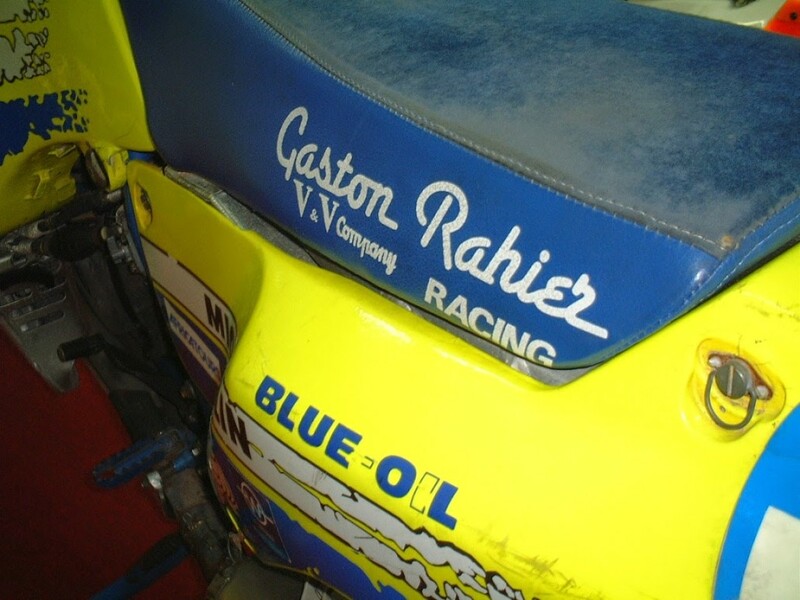 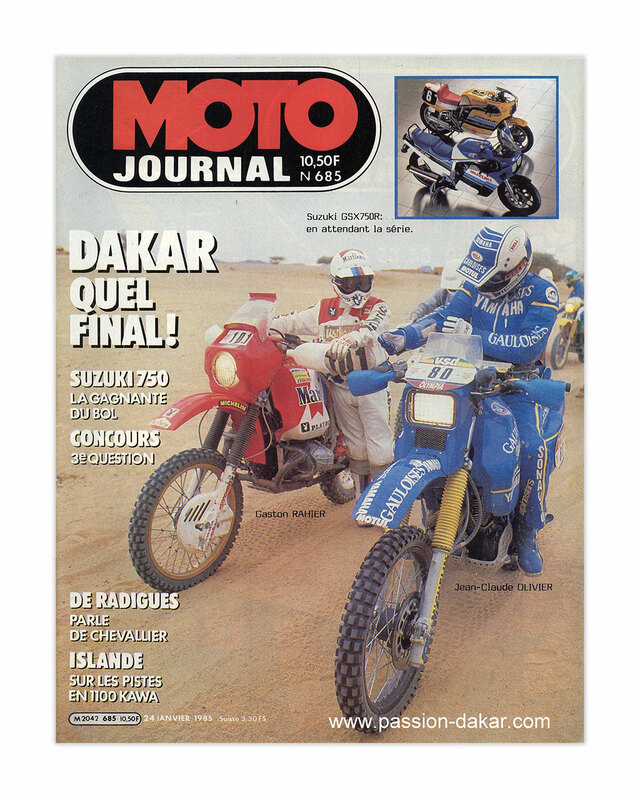 As predicted, the GS hits, upon arrival in Dakar, first Gaston Rahier according to Hubert Auriol. 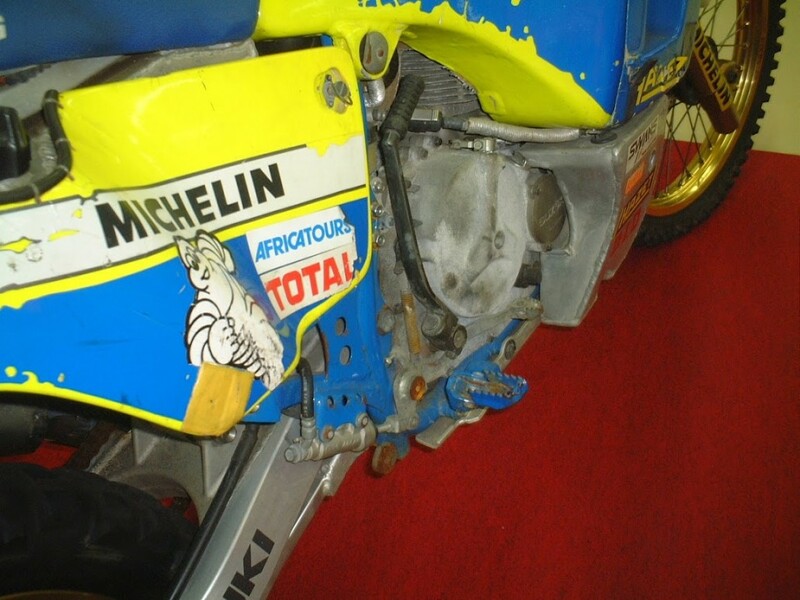 Considerable work by lightening on this bike: just over 170 Kg dry weight!